WHAT IS MÉNIÈRE’S DISEASE & WHAT ARE ITS SYMPTOMS? 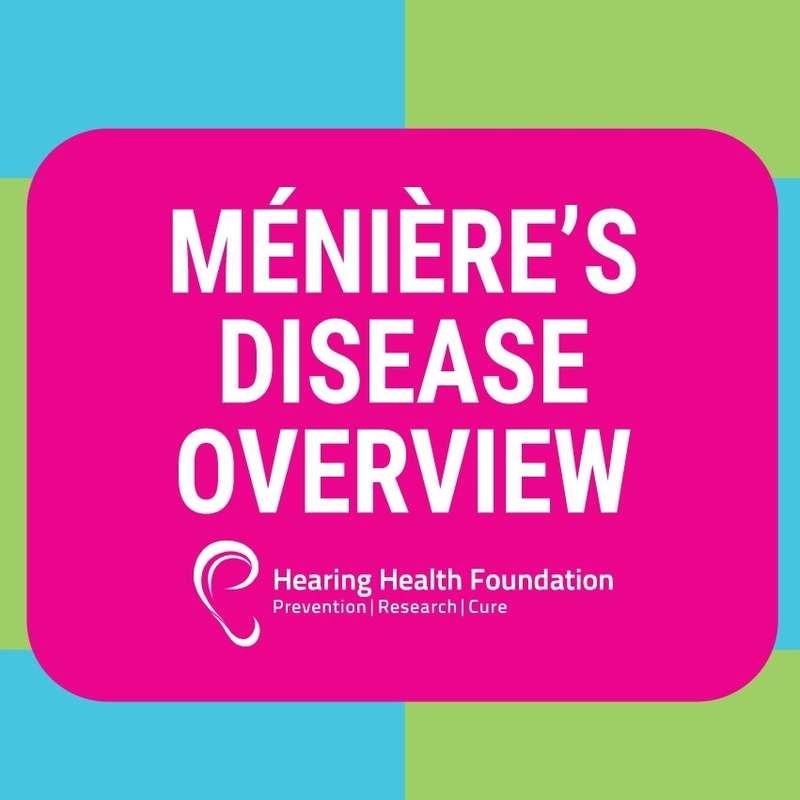 Ménière’s Disease is a chronic, incurable inner ear disorder with often debilitating symptoms that affect hearing and balance. It is named for French physician Prosper Ménière who, in 1861, first identified and described the symptoms of this medical condition. Researchers are unsure of what causes the buildup of fluid in the inner ear that results in Ménière’s Disease. Some believe it is related to the same blood vessel constrictions that lead to migraine headaches; others say it might be due to autoimmune conditions, viral infections, allergic reactions or head trauma. Ménière’s appears to have a hereditary component, so a gene mutation may be connected to the regulation of inner ear fluid. "There is no cure and effective therapies are lacking. Innovative research support from HHF aspires to change these deficits and offer hope for millions suffering from Ménière’s disease." Dizziness as a result of an attack may cause unsteadiness and feelings like the world is moving or spinning. Nausea and vomiting occur when one experiences severe dizziness. Hearing loss is typically unilateral (in one ear) and fluctuating. Patients often also report sensitivity to sound. Tinnitus or ringing/buzzing in the ears may result in the absence of sound. Diarrhea is possible during attacks, making it important to stay hydrated. Migraines are common during flare-ups. Uncontrolled eye movements can result because the inner ear affects balance and, in turn, eye movement. This may be a jerky eye movement in one or both eyes, side to side, up and down, or in a circular motion. Cold sweats can result from vertigo. Fatigue is common and may increase one’s risk of falling prey to an attack. Extreme mood changes, including strong feelings of anxiety, fear, and anger are common. It’s unknown if anxiety contributes to and causes episodes or if anxiety is a by-product of the disease, occurring after attacks. While there is no cure, lifestyle and dietary changes as well as some medications can ease Ménière’s Disease symptoms. Eliminating or reducing salt, caffeine and/or alcohol can help lower fluid retention in the inner ear. Antihistamines, anticholinergics and diuretics may lower inner ear pressure by reducing the amount of fluid. Eliminating tobacco use and reducing stress levels may also help some patients. Learn more about treatment options.